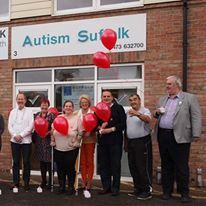 SUF’s core funding is from the Mental Health Pooled Fund which is a joint fund shared between the Ipswich and East Clinical Commissioning Group (CCG), the West Suffolk CCG and Suffolk County Council. From May 2016 – October 2016 we are receiving funds from Suffolk County Council to support our Advocacy project. We have also made successful grant applications to Awards 4 All, National Time to Change (for our Hidden Talents project with employers) and received very much appreciated, anonymous donations through Suffolk Community Foundation. 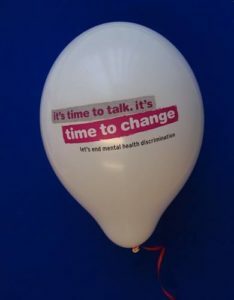 Our primary role in delivering the voice of mental health service users is to work together with people who use mental health and wellbeing services to ensure that they have every opportunity to express their experiences of access to and the services available and can receive information that enables them to have greater choice, control and independence in their lives. By working together as peers, we give people with mental ill health equal value and acceptance, understanding of the challenges of being a human being. 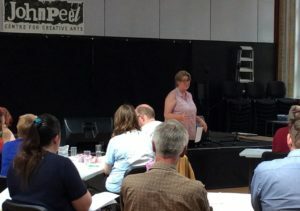 We gather and collate these experiences, reporting back (anonymously) to service providers and commissioners offering insights into the lived experience, supporting a process called co-production. This is where people, carers and professionals by working together as equal partners can design, develop, commission, deliver and review mental health services, information and advice. This process provides the opportunity for people with lived experience, to be involved in decision making, transforming services to better meet theirs and other people’s needs, delivering on mental wealth for all communities in Suffolk. A key part of our role is to ensure that people with mental health needs have the information that they need, when they need it; that this is easy to access and to understand. 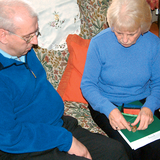 We check that information is consistent, accurate, accessible and up to date, so that people have the opportunity to know what is going on in their community and to make more informed choices. 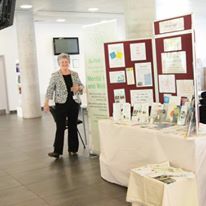 Sue Parker SUF member and Mid Suffolk VASP Chair is passionate about sharing information about mental health & well-being.